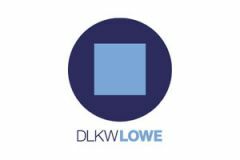 This page shows the latest DLKW Lowe news and features for those working in and with pharma, biotech and healthcare. Samaritans has appointed DLKW Lowe to deliver a new targeted rail suicide awareness campaign in collaboration with Network Rail. ... Jamie Elliott, CEO of DLKW Lowe, added: “This is a fascinating, nuanced brief which we're honoured to have been awarded. Sweet Tooth', for Ogilvie Dentists, by Family. Consumer, Film. 'Alison's Story', The Great Daffodil Appeal for Marie Curie Cancer Care, by DLKW Lowe. Access. Big Pink. Brand (x) Communications. CDM London. CHI &Partners. DLKW Lowe.